A superb detached five double bedroom family home in the stylish St James' Parish area. 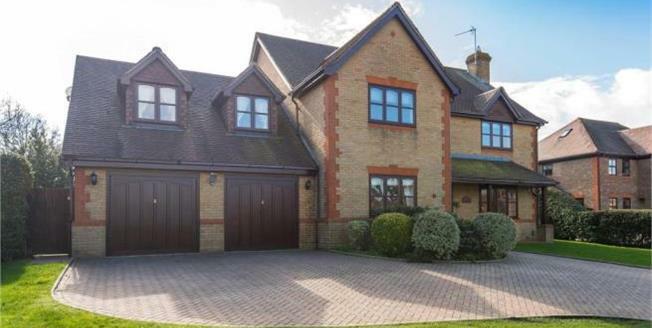 This spacious, bright family home is well presented to a very high standard throughout. Arranged over two floors the accommodation presents a welcoming entrance hallway, a formal lounge with an attractive brick fireplace, second lounge, study, stunning kitchen / dining room and utility room plus ground floor cloakroom. To the first floor are five double bedrooms, two with en suite facilities plus the family bathroom. The generous, private rear garden is south facing and has a patio, main lawn and varied perimeter / bed planting. The front blocked driveway provides parking for approximately six cars plus the double garage. A splendid family home which is offered chain free.